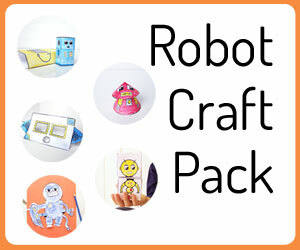 My boys are obsessed with robots…if you couldn’t tell from the printable robot finger puppets we made, our mix-n-match robot blocks, and felt robot finger puppets. 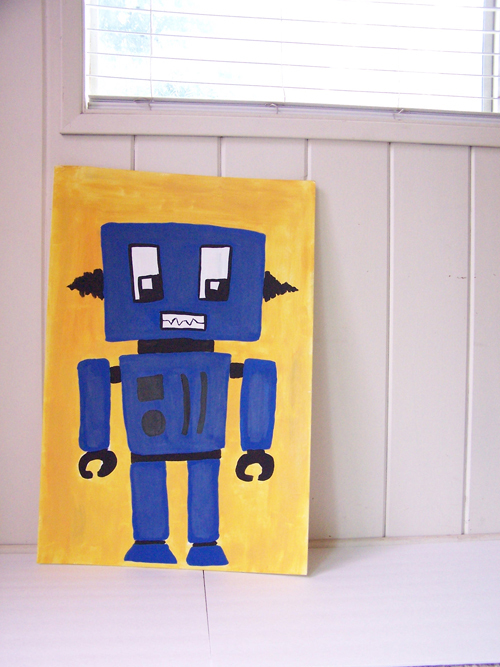 I made this fun robot painting for them. And the best part? It’s painted on foam board from the dollar store which makes it a very inexpensive piece of wall art for it’s size. 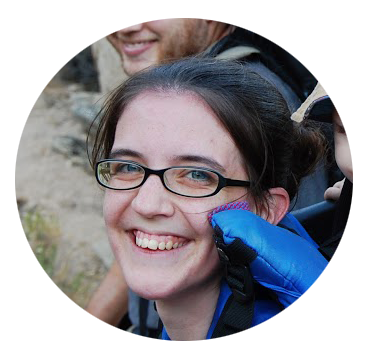 There are a couple fun ways you can use this project. First, it would make some really fun art for a kids room. 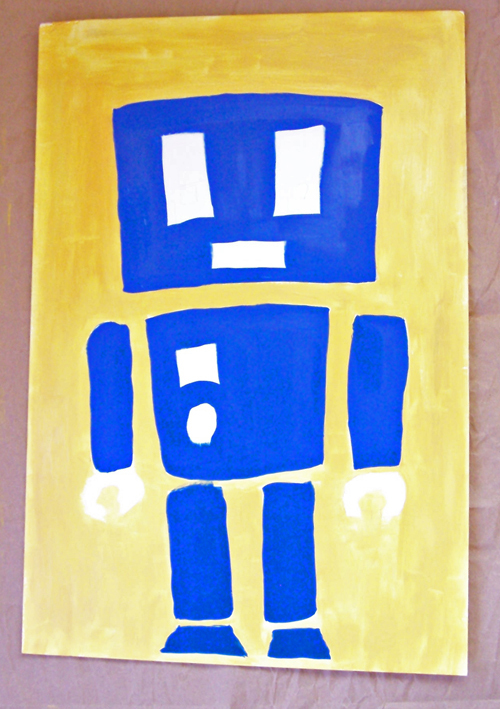 Second, it would make some awesome, inexpensive decor for a robot party (more on that in a couple weeks!). Let’s get started! First, make a sketch of what you want to paint. 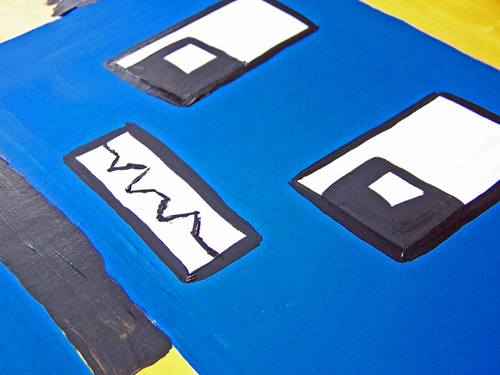 Take your foam board and do a light sketch of the robot. It doesn’t have to be perfect – it’s a painting, so it can be a little messy. 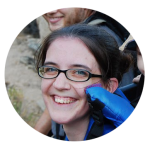 And when you’re going for a quirky robot look, everything doesn’t have to look exact. 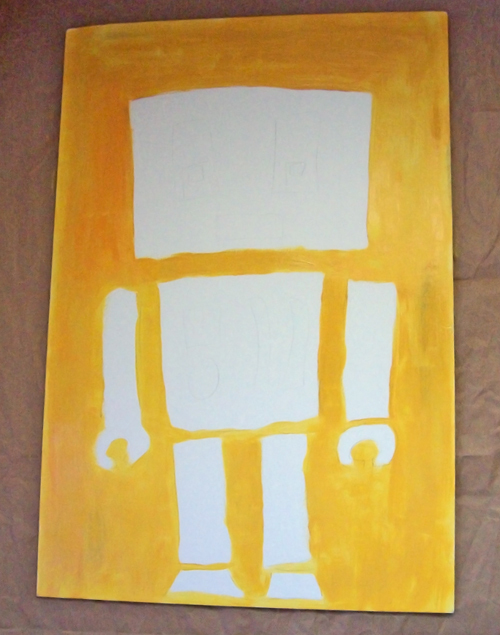 Then paint the background around the robot. I chose a mix of yellow and orange to use for my background. Don’t worry about going over the lines too much – you can fix it up later. 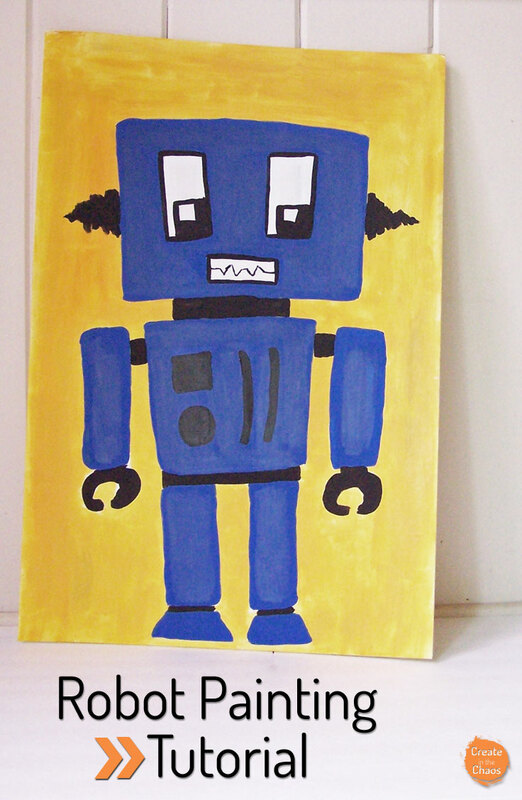 Once that’s fairly dry, paint your robot. I chose a blue to contrast nicely against the yellow background. Now with some black paint, go through and start adding details. Add eyes, a mouth, and the joints between the sections of the robot’s parts. When you’re finished, go through and make any touch-ups you want to make and fix any blemishes. I also found some corners of the foam board started to bend up. Once the painting was dry, I set some heavy books on the corners to flatten it back out. But it turned out really well for being painted on $1 foam board! P.S. 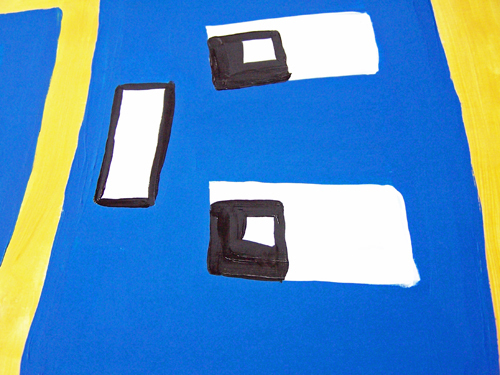 I’m so bummed at how my pictures turned out – the blue paint I used did not photograph well! If anyone has tips for photographing paintings, I would love to hear them! 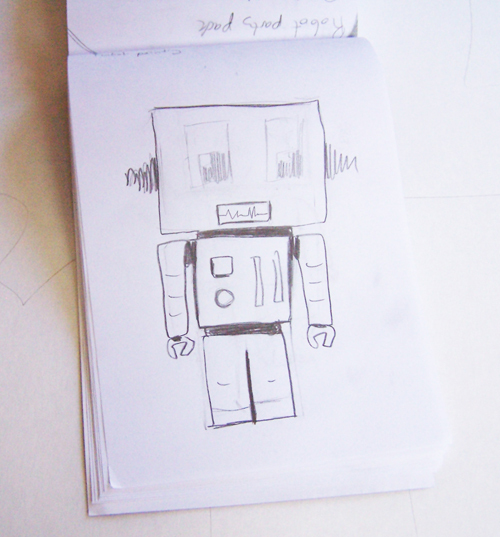 I keep meaning to make some robot clipart ’cause some of the boys in my class like them, too! Thanks Barb! And that’s a great idea!